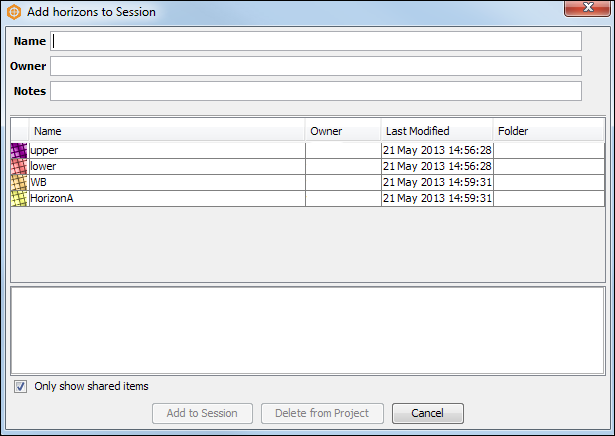 Items saved in the project database can be added to your active session. In the Control Panel, open a product tab (i.e. horizon, polygon, probe, etc). 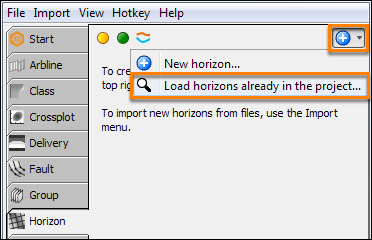 In this example, we will load a horizon from the Horizon tab. At the tab header, click the Add icon at the top right and click Load horizons already in the project. 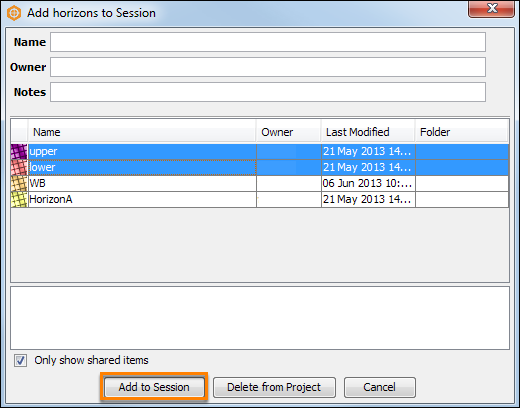 The Add horizons to Session window will be displayed. All the items of the same product type that have been saved in the project database will be displayed in this window. By default, the search dialog will show all items owned by everyone, shared or not. To only show items that are owned by you, or items marked as shared, select the Only show shared items check box at the bottom left of the window (see Multi-user Considerations). If there are many items in the project database, you can quickly search for the desired items. Typing in the Name, Owner and/or Notes boxes will limit the display to items that match the texts. 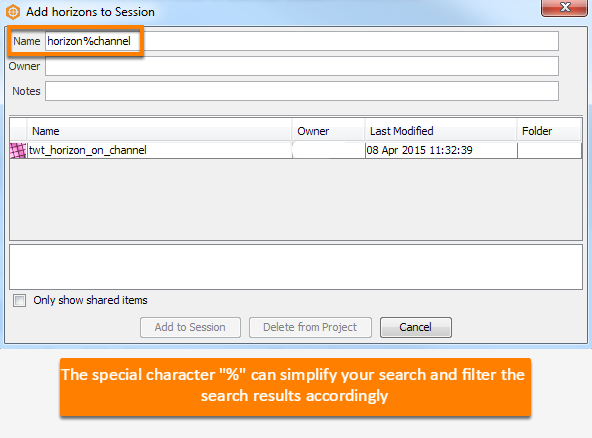 In the table that displays the search results, select an item or multiple items that you want to add to the session. The Add to Session button will be enabled. Click this to add the selected item(s) to the current session.